This Hotel is situated near Santa Ana Business Center. It is the perfect boutique hotel, with an incredible view of the surrounding mountains. 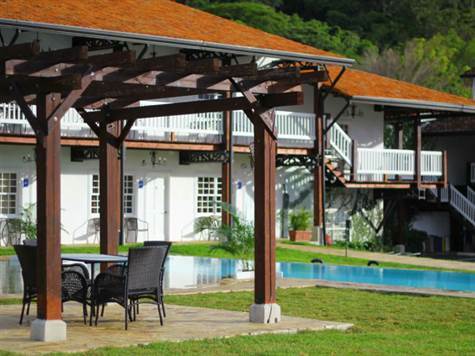 The hotel dates from the 1950s, and was built as a southern-style home for the original owner, an American, who came to Costa Rica from the American South. Quickly rising to be a well-known, well-operated and often booked hotel, both tourists and local enjoy this hotel due to value-pricing, quality rooms, excellent location, expandability and financials to support itself. This Hotel was completely renovated over the past two years, giving it its new name based on its original building style. It is an ideal blend of European taste, American comfort, and homemade Italian food. For a tour and more detailed information please call me directly.